Call 1-800-950-1755 to speak to a Colad Team Member! Custom Point-of-Purchase Displays that POP! Professional, freestanding custom point-of-purchase displays provide continued exposure for your sales and marketing messages. No project is too intricate, and no idea is too crazy when it comes to Colad's custom POP Easels. Whether you need your custom point of purchase display to feature documents and items, or present information that will catch everyone's attention - Colad has your solution. Just look at our featured products below to see some of the custom POP Easels and Displays that Colad has produced! Colad can digitally manufacture just one piece, and has the firepower to handle one million- there's no minimum quantity! Colad is an EPA Green Power® Partner for our use of renewable Wind energy, and any custom packaging can be made FSC or SFI certified. Our experienced staff can mount, laminate, die-cut and finish your custom display project to your exact specifications. Need it wider? 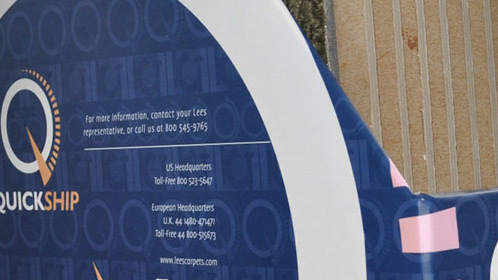 Colad offers wide-format display printing services through our sister company in Atlanta, GA. Custom POPs from Colad get your brand and message noticed! Ideal for counter displays, promotional advertising, trade shows and more. 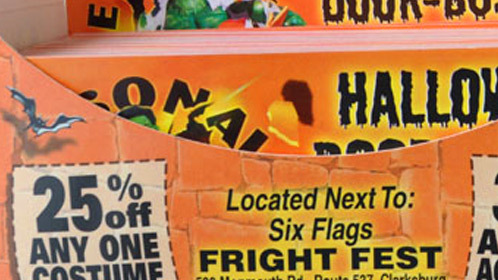 Advertise in many locations, yet have each display personalized and targeted. Colad can digitally print your packaging to customize it with variable data, versioning or personalization. Much more than just custom POPs and Display Easels! Colad will work with you to create your perfect custom promotional packaging, including: Custom binders, custom folders, custom mailers, custom totes, custom boxes, custom sales kits and more! Let us take your idea, and turn it into the perfect marketing POP that catches everyone's attention! 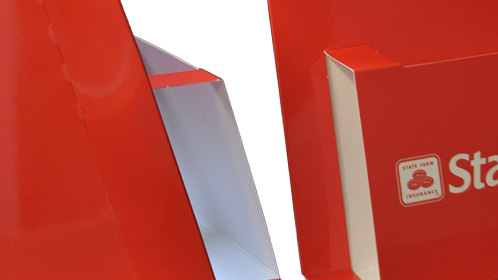 Colad will work with you to create your custom brochure holders and literature displays. 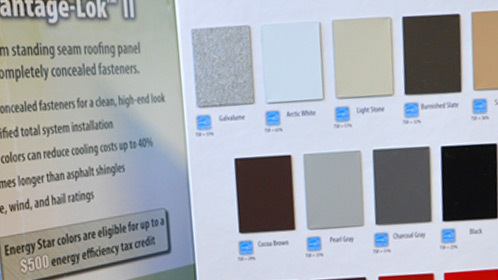 Our custom POP displays can be constructed from a single sheet of paper to save on costs and turnaround time. Our experience staff can mount, laminate and die cut your custom display to your exact specifications. Colad will produce your total custom packaging and give you more time to focus on your business! Get Quote Buy Now Share It! 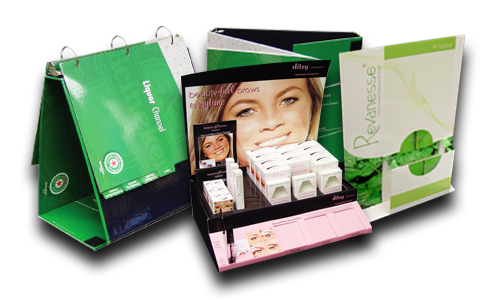 Creating custom sample displays help customers to make the right decisions, while improving your business' efficiency. Colad will mount your swatches and samples to chipboard, and add the graphics and logo. Our experience staff can mount, laminate and die cut your custom display to your exact specifications. From start to finish, Colad will produce your total custom packaging and give you more time to focus on your business! 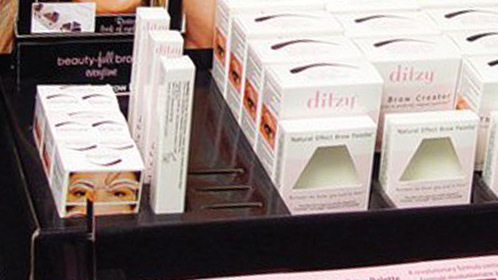 Displays play a big part in selling a product. Colad's custom retail displays and store fixtures enrich your product by displaying it beautifully! We will create one, or 1,000 custom retail displays for you. 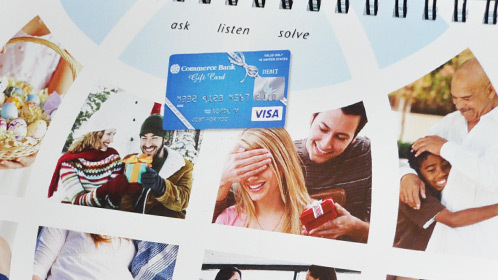 Custom flip-through, calendar style point of purchase displays present all of your information without taking up too much space. Gloss laminated sheets are fastened to a chipboard easel to look professional and durable. Our experience staff can mount, laminate and die cut your custom display to your exact specifications. From start to finish, Colad will produce your total custom packaging and give you more time to focus on your business. Work with Colad to design the your perfect counter display in any shape, size and quantity. 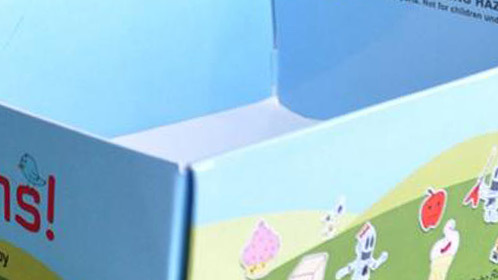 Paperboard point of purchase displays can be printed with advertisements, or designed to hold specific products. Custom voucher & brochure displays can be designed around any existing promotional collateral for a completely uniform look. Whether you one, or one thousand custom displays, there's no minimum quantity. Created in rigid turned edge or corrugated, so you know they're tough! With custom slash boxes, custom angle boxes, and document boxes you can neatly display your promotional pieces, folders, and samples.